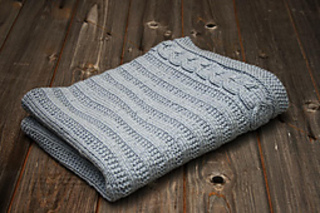 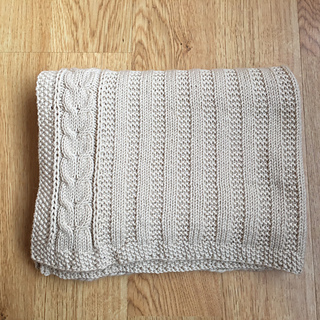 Inspired by the garter rib baby blanket by Orange flower. 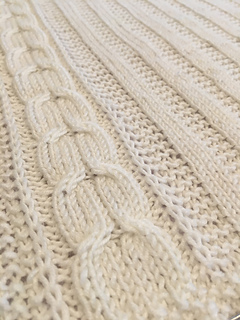 In addition to the main garter rib, a seed stitch border and a cable pattern along each of the long sides of the blanket were added. 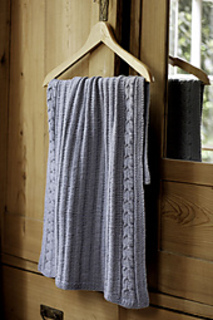 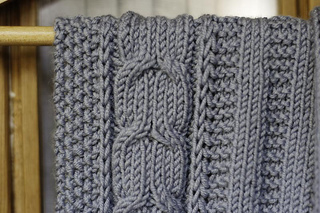 Once the pattern is established, the basic knit is based on a 2 row repeat with the cables crossing every 10th row. 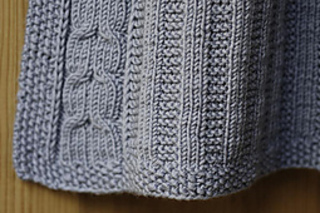 This makes it easy to memorize without getting boring.